Travel theme: Close-up | Where's my backpack? After my literary close-up of Rome I started looking at a few photos that might match the theme. 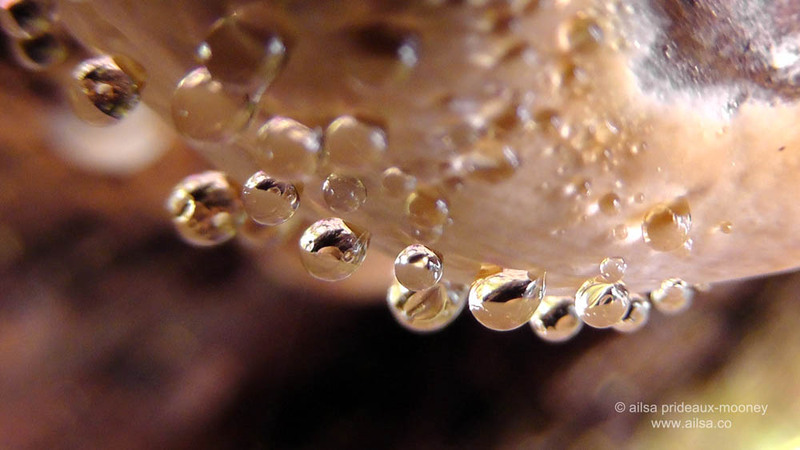 First up, a water drop-covered mushroom in the North Cascades. A close-up of peeling birch at the Bloedel Reserve. 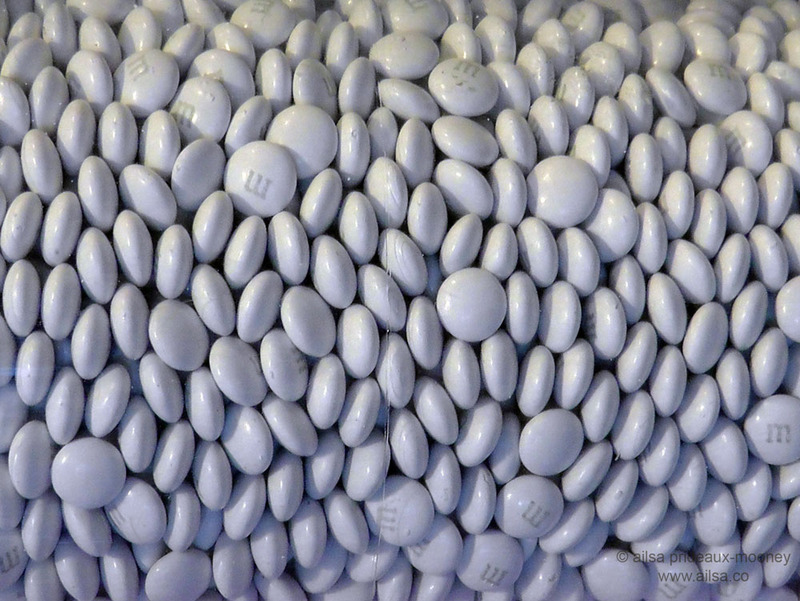 Getting close to a mound of white M&Ms at the New York M&M World’s Wall of Chocolate. Last, but certainly not least, a close-up of the original Piglet of Winnie the Pooh fame. I had to get close, he’s only 3 inches tall. Love the water droplets and that peeling bark on the birch! Not sure what I’ve got, probably need to take some new shots…. Thank you! I surely miss Sardinia but with the unemployment the way it is there we just had to make a decision to move. It’s nice to be back. 🙂 You’ve been to Victoria I take it? Yes, I lived in Seattle and used to make a run for the border every so often – Vancouver and Victoria are just down the road. Love the top photo Ailsa…and the M&Ms of course! Those droplets are fabulous, Ailsa! Pingback: Travel theme:Close up | So where's the snow? I agree with you. He really is interesting. Have you read “Haunted”? Also, he’ll be writing a sequel to Fight Club! 🙂 I’m excited! Ailsa your first picture is amazing. The freshness is almost touchable. And the white M&M’s sure are more healthy like this, without the colorcoats. I’ve never seen them in the shop. Do you think they’re available somewhere? I like them, basic, like this. For this weeks theme … It’s my favorite way of photographing! Oh and about the M&M’s – I’ve never seen them over here – that’s why you get oodles of tourists coming out of M&M world with bags and bags of M&Ms in bizarre colours – they’ve got them in black, grey, pastels, neons, every colour under the sun! I love the water drop covered mushroom Ailsa…wow…a mini Piglet…how cute is he if a little battered. Where was he ??? Great close-ups. The albino M&Ms are a bit freaky. Love the picture of Piglet, Ailsa! Back again Ailsa…this time with my post. Great choices for this theme, Ailsa. I hope mine brings you a smile. i love the water drops! And as for Piglet, aaaawwwww LOVE!